The original Star Trek was packed with interesting characters with all sorts of hobbies, some of which were able to grow and flourish and for those that weren't Kirk or Spock, well, not so much. Sulu was painted as a pretty cool dude with hobbies including botany and fencing, but, on the whole, he didn't get to do a lot of great heroic stuff. Granted, he did go on to announce for Howard Stern and did a bunch of awesome bits on Conan's show, so I think he ended up pretty damned good. But what about his toy? The figure is, on the whole, basically the same as the rest-- 12 points of articulation, roughly 5-inches tall, slightly oversized head and hands. 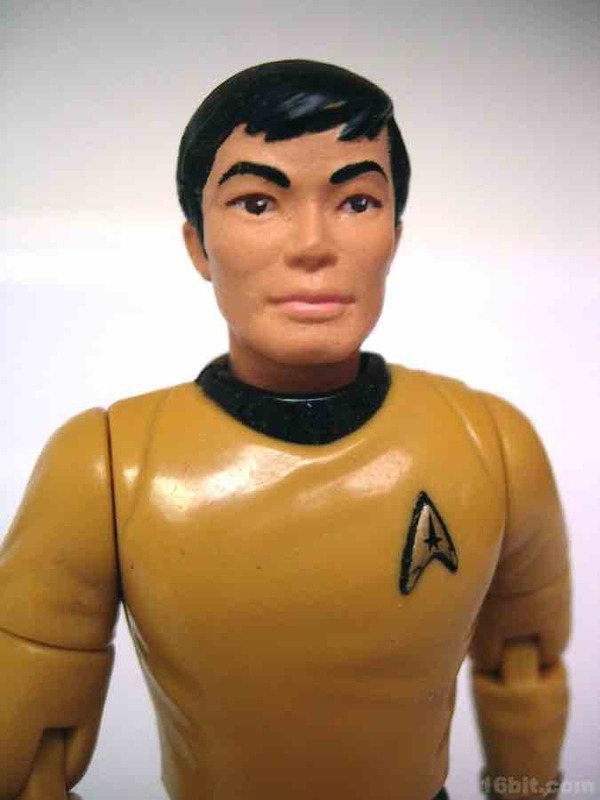 While not a dead-ringer for George Takei, it's pretty good particularly when you consider what other figures looked like in the early 1990s-- rarely, if ever, did they resemble their actors other than hair color and skin tone. If you look at this figure, it's clearly Sulu and not just Asian Guy or Dude With Black Hair, which is no small accomplishment. 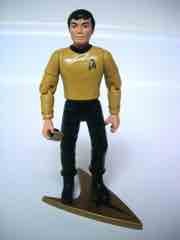 Since this release came from an era where figures were generally tested to be compatible with ships and accessories, he works pretty well-- Uhura doesn't, but the boys typically do get a little more action anyway. If you're a fan (and who isn't?) this one is worth tracking down.